As per the Holy Hindu Scriptures, Shani Dev is the God of Justice and He is denoted by planet Saturn in Vedic Astrology. Considering the troublesome nature of results in the life of a person who comes in the ambit of Shani Dev's influence, this God of Justice is highly feared. One must note that Shani Dev only gives us the results of the intense karmic structures that we accumulated in our past lives and is not necessarily always negative for oneself. However, when Shani Dev starts giving the results of the intense karmic structures from our past life that are negative in nature, then the results become extremely harsh and troublesome for us, as Shani Dev being the God of Justice always teaches us a lesson. The negative effects in life that people experience when Shani Dev starts giving the results for their negative karmic structure are: "Financial Turmoil, Bad Health, Problems in Career or Profession, Delay in Marriage, Destruction of Family Bliss, Insults etc." Shani Dev is known for His extreme outlook towards every person, hence His results are also extreme in nature. That is, both reward and punishment from Shani Dev will be extreme in nature. So now that we know about the harshness of Shani Dev in giving results for our negative karmic structures, it is very important to know about a solution that can be done to pacify Shani Dev in order to get rid of those troubling karmic structures in our life. One such time tested and incredibly powerful solution is "Shani Shanti Puja". Shani Shanti Puja is a Vedic ritual by which one can please and thereby receive the blessings of Shani Dev. Shani Dev upon blessing the individual, removes the very karmic structures from his/her karmic account that were the root of the punishment that he/she was getting. Hence, if someone is suffering from unprecedented miseries and problems in certain domains of life, then that person should without any delay go for a Shani Shanti Puja. Shani Shanti Puja, brings relief from financial distress and promotes growth of wealth & prosperity and one can witness significant positive changes in his/her life that would lead to a life full of bliss & joy. Therefore we urge you to book a Shani Shanti Puja for yourself, to receive the blessings of Shani Dev and get rid of all hurdles and make prosperity, wealth, health and harmonious family relations, a living reality in your life! Shani Shanti Puja pleases Shani Dev who in turn destroy the negative karmic structures of a person that bring punishment in the form of hurdles. Shani Shanti Puja blesses a person with relief from mental tensions and brings harmony in family relations. Shani Shanti Puja dispels the malefic & negative energies that arise from a troubled karmic account of a person, by bestowing His blessings on that person. Shani Shanti Puja brings a calm in the career turbulence that a person is facing in life and eventually takes the career growth trajectory towards the upside. Shani Shanti Puja induces a strong intuitive sense in a person which helps him/her to perceive given situations correctly and chart a beneficial course of action. Shani Shanti Puja brings a wave of prosperity in life by enhancing the good luck factor in the life of the native. Shani Shanti Puja brings a speedy recovery from ailments that have been bothering the native and bestows sound health in life. Shani Shanti Puja makes a person emerge victorious in legal battles, especially in legal issues revolving around property. Shani Shanti Puja protects a person from all enemies who intend to harm that person, directly or indirectly. Saturn being a naturally separative planet in astrology, promote prosperous foreign travels and settlements in the lives of people who offer Shani Shanti Puja. Shani Shanti Puja raises the business of an individual to a whole new level by removing administrative or regulatory hurdles that are casting a negative shadow on the business. 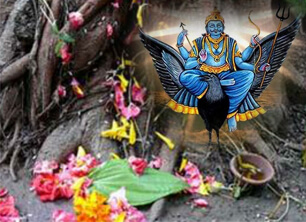 Shani Shanti Puja on your behalf involving a Jap (Chanting of Mantras) of 23000 Mantras that are incredibly powerful and pleases Shani Dev, by highly learned Brahmin Priests to bring forth the divine blessings of Shani Dev in your life. Note: The Shani Shanti Puja is performed in strict accordance with all Vedic rules & rituals as prescribed in the Holy Scriptures. Why should I go for Shani Shanti Puja? Shani Shanti Puja is an immensely beneficial spiritual practice of pleasing The God of Justice - Shani Dev by whose blessings, a person's life becomes free from all miseries and misfortunes. Therefore, the blessings of Shani Dev are a must to lead a life that would become a manifestation of success, prosperity and happiness. So, go for this life altering ritual! Who will perform the Shani Shanti Puja? Absolutely, you can watch the Shani Shanti Puja being performed in your name via a recording provided to you by us. Is there any minimum age to go for Shani Shanti Puja? No. Anyone can go for this Shani Shanti Puja. Can I book the Shani Shanti Puja for someone else in my family? Absolutely! If your near and dear ones are suffering from certain sudden and grave problems, then nothing can be a better gift to them, than making sure that they get the powerful blessings of Shani Dev!